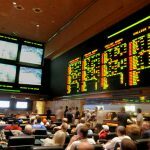 Legal Massachusetts sports betting is a topic that has been discussed heavily in the state in efforts to keep up with the legal gambling industries neighboring states are offering. Sports and betting are two things that Massachusetts residents love so lawmakers were wondering why they shouldn’t be joined together. Given political advancements from the federal government, the gambling industry is thriving and every state wants to be a part of it and if you are looking to jump into the action, the laws you may or may not know might keep you hesitant. This is where we come in as our goal is to ensure you are fully knowledgeable about all aspects of the industry from federal law changes to current and future state laws as well as locations to engage in the hobby. More opportunities are present than you may have expected and this all stems from the ability to use offshore sportsbooks that are available to Massachusetts residents for legal sports betting. Once you become completely engulfed with this information, you will have no fear or worries when entering into an online sportsbook or state-run book offered by a neighboring state. 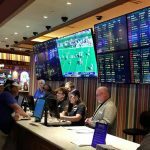 Is Land Based Sports Betting Legal In Massachusetts? Massachusetts has not legalized the industry yet but they put forth a study bill in 2018 to entertain the idea. This is all due to the federal law known as PASPA being overturned by the Supreme Court in early 2018. 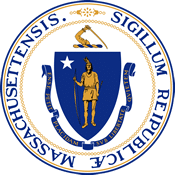 After this occurred, states were able to make their own laws and regulations regarding sports betting and Massachusetts is in the process of doing so. Without any land-based sportsbooks currently operating or regulations set forth, sports betting is still not legal in Massachusetts. However, we expect this to change very soon as the state has always been known as a pro-gambling state; furthermore, with the surrounding states being quick to bring the industry through their doors, Massachusetts is seeing the tax benefits of making it so and will likely do the same. Is It Illegal To Bet On Sports Online In Massachusetts? Massachusetts state laws make no mention of online gambling within the state. You can use an offshore sportsbook in Massachusetts and have no fear of breaking any state or federal laws. The only trouble you can get yourself into is if you are attempting to use an unlicensed sportsbook located within the state. These unlicensed gaming establishments are doing an illegal act and any action with these places is taken very seriously by state lawmakers and officials. Therefore, stick with the licensed offshore bookmakers and you will not run into any trouble as their site security and customer service is better than any underground book you will find in the state. Is There Anywhere In Massachusetts That I Can I Bet On Sports? Just because the legality of sports betting hasn’t hit Massachusetts yet doesn’t mean there aren’t any options for you to play the odds. By using a sportsbook that is licensed by their home country and located offshore, you can legally and safely engage in sports betting. These sites offer promotions that constantly keep new and existing bettors happy as they match deposits, allow for better gambling lines, and hold tournaments where winners can share a grand prize. The sites we recommend are SportsBetting.ag, BetOnline.ag, Bovada.lv, and 5Dimes.eu due to their years of experience and reliability, safe and quick payout methods, and amazing 24/7 customer service with multiple ways to get in contact with them. Check out their promotion pages to see which site is best for you and join multiple if you like as they are all free to join. 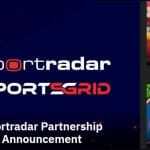 Technically, the closest location for you to engage in sports betting is from your phone or computer at home. This is the most convenient way you never have to leave or fiddle with cash but instead can review all of the betting lines and transfer money to and from your online account. However, when sports betting in Massachusetts becomes active, the places to bet will be where casinos and racetracks are already established. The infrastructure already in place makes it easier for the state to implement the new laws without having to shell out large sums of money to get the industry going. We understand though if you want to entertain yourself with the fulling gambling experience and relax in a sportsbook while you’re betting on your favorite professional Boston sports team. There is nothing better than everyone rooting for the same outcome or seeing the sportsbook split in half when the game comes down to the last second. 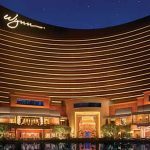 Luckily, the northeast has been quick to legalize the industry and there are a few options for you to find a state-run sportsbook without having to travel too far. A quick plane, train, or car ride will have you at these locations in no time and be in the heart of the action. Gambling laws are rather supportive in the state of Massachusetts as they have many approved forms of gaming. Not only is pari-mutuel wagering legal with horses and dogs both on and off track but the state has approved commercial and tribal casinos with the thought of adding more. The one caveat is sports betting as the state has yet to legalize or regulate any standards in this industry. Chapter 271 of the Massachusetts Code Book discusses all of the gambling laws which include lottery, casino gaming, and horse racing. Exempt from this book is sports betting as mentioned above. 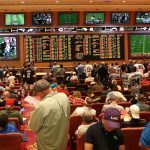 The state has yet to approve any forms of sports wagering but it may not be too long before its regulations are entered into the book of codes. In 2018, Massachusetts legislators put forth a study bill, Mass. Senate Bill 2273 which looked to regulate online gaming and sports betting. Online gambling would be a major step forward as residents located all over the state could access a state-run mobile platform without having to travel to a racetrack or casino. While this bill was entered before federal laws cleared the illegality of sports betting, it is assumed legislators will move forward with another bill to make legal sports betting in Massachusetts happen soon. Massachusetts is such as a sports heavy state that residents can’t even decide if Boston, their professional sports’ hometown, is known as “Titletown” or “City of Champions”. This is obviously due to their prominence in the sporting world and fan base that is never shy to support their squads. The five major sporting organizations have seen a Boston team win or make it to the final game over twenty times since the year 2000! Just because the Boston professional teams are a near lock to bet, you are still able to wager on any team you wish from California all the way to England. The offshore sportsbooks offer thousands of wagers every day there is no shortage of teams or leagues you can bet on. Horse racing betting in Massachusetts was legalized in 1934 and the state never looked back. Parimutuel wagering is offered at the two active racetracks in the state, the Plainridge Racecourse and Suffolk Downs, and bettors located in the south of Massachusetts can participate through simulcast wagering at Raynham Park. Races are a strong economic impact as they bring in many tourists from both within the state and the New England area. Additionally, online operators provide racebooks where gamblers can enjoy the races from an online platform without having to travel to the track. Massachusetts has a completely legal and regulated daily fantasy sports (DFS) industry. The two main operators of DFS are DraftKings and FanDuel and both offer great welcoming bonuses to Massachusetts players. For those unfamiliar, DFS is a game of fantasy football which isn’t season-long as players draft athletes to form a team each week under a salary cap and compete against other players. You can enter into leagues, one-on-one matchups or tournaments where the first place prize can be $250,000 or more. Contests start as low as a few pennies and can be as much as a few thousand to enter and very often they promote free entries to keep you entertained. The DFS industry has taken off in the country and Massachusetts was at the forefront of making it happen as they made it legal in 2016. Can I Bet Real Money On Sports In Massachusetts? You can definitely bet real money on sports in Massachusetts as offshore sites allow for various monetary methods. They accept credit card transactions, cryptocurrencies such as Bitcoin, Ethereum and more, as well as Visa Gift Cards if you’re extra cautious about your security. They return winnings on even more methods as they can deliver a check by courier, Bitcoin Cash, or give a wire transfer. Is Online Sports Betting Safe In Massachusetts? Online sports betting in Massachusetts is safe as long as you go through the proper channels. The incorrect method would be to use an online platform that is offered from a local business or bookie as this is an illegal act. However, as long as you use an offshore sportsbook that is fully licensed and regulated by their home country, you can ensure your safety as they use encrypted sites to keep your information and money safe. Will Sports Betting In Massachusetts Ever Be Legal? Not far away from being there, there is a high likelihood Massachusetts sports betting will become legal. The state is a pro-gambling state and legislators would just need to set up a taxation plan and regulations for the industry since they already have an oversight committee in place. With racetracks and casinos already established, it would be an easy transition to allow for wagering on sports. Will I Get Arrested For Sports Betting In Massachusetts? As long as you are using an offshore licensed sportsbook, you will not be breaking any state or federal laws and have nothing to worry about. There have been no arrests or convictions for those gambling offshore; however, It is against the law to use an in-state unlicensed operator so do not try to curtail the system and sneak through it. If you get caught, there are more disadvantages than positives when you were gambling. What Is the Sports Betting Age In Massachusetts? The betting age in Massachusetts is set at 18 for all forms of gambling within the state with the except of casino gaming. Since there have not been any regulations set for sports betting, it is likely they will follow suit with the casino gambling age of 21. Offshore operators accept players of 18 years of age however we recommend waiting until you are 21 so you are not going against any state laws. Are There Mobile Sports Betting Apps Available In Massachusetts? Mobile sports betting apps are available in Massachusetts; however, there is not a state-run platform that offers this. Instead, you will have to utilize an offshore licensed sportsbook which can be accessed by going to their mobile webpage or downloading their apps. Their platforms are all secure and also provide live in-play betting, which can create even more payouts or enjoyment for you. Where Is The Best Place To Bet On Sports In Massachusetts? The best place for sports betting in Massachusetts is with an online operator as there are no land-based sportsbooks within the state. Each site is known for their own benefits as some offer the lowest minimums while others offer fastest payouts. Also, the recommended sites we listed above all have constant promotions and offers to keep new and existing members satisfied and these sportsbooks are offshore and fully licensed by their home country. Should I Use A Local Bookie In Massachusetts? Only if you want to face criminal charges or have the risk of your money be stolen from you. Local bookies are never a good idea, as unlicensed bookmakers are illegal to wager on within the state of Massachusetts. It may seem like a good idea and an easy way to start betting on sports but the negatives always outweigh the positives in these situations. Do Any Casinos In Massachusetts Have Sports Betting? There are no current casinos with sports betting in Massachusetts; however, this would be the first area, along with racetracks, to allow for gambling on sports as the infrastructure and oversight measures are already in place. The MGM Springfield opened in late 2018 and is situated across from the Basketball Hall of Fame which is already set up to open a sportsbook pending legislative action. Is It Legal To Bet On Sports With My Friends In Massachusetts? There are no laws in the Massachusetts law book that restrict social gaming. However, if a policeman is having a bad day and see you and your friends out in the public exchanging money and hear you talking about wagers, he may question you. We are not lawyers but we recommend if you do wager with friends to do so behind closed doors.